Spreading the CAFOD love on St Valentine’s Day! Students from St Boniface’s College get into the spirit of Valentine’s day in an array of delightful costumes including Scooby Doo, a cow and a morph suit. Students at St Boniface’s Catholic College in Manadon Park spent the day ‘playing cupid’ for St Valentine’s Day on the 14th February, 2013 in an effort to raise as much money as possible for CAFOD. Many were seen in memorable mufti outfits as the day was enjoyed by all. Teachers were spotted wearing a pink and red heart on their clothes, whilst students chilled out in onesies, morph suits and costumes during the celebrations. A bake sale was also arranged with heart shaped biscuits, decorated with candy stars, silver balls and hearts that went down a treat. 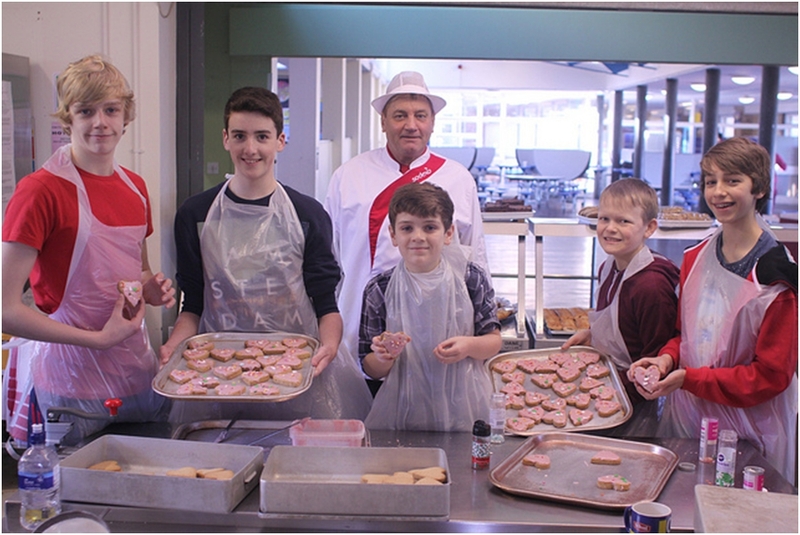 Students proudly display their hand-decorated heart shape biscuits, which helped raise over £1,000 for CAFOD. 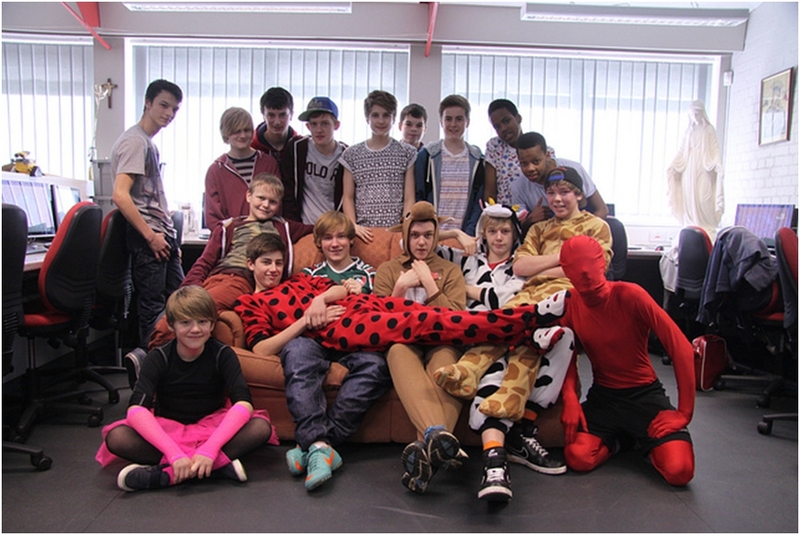 Over £1000 was raised by the school – and lots of fun was had by all! This entry was posted in Education, Fundraising and tagged advocacy, aid, aid work, CAFOD, CAFOD PLYMOUTH, fund raising, Fundraising, heart shape, Plymouth, red heart, st boniface, St Boniface’s Catholic College, st valentine, valentine s day by CAFOD Plymouth. Bookmark the permalink.